This cloak, this legendary cloak. At the moment, I have completed the quest-line on 5 characters. I could have gone for a sixth, or maybe even more, but I decided enough is enough. I just got bored with it, and having so many, really didn't feel legendary anymore. Is it really a Legendary Item, if everyone has it? That's s remark I read a lot, and I tend to be in that camp. 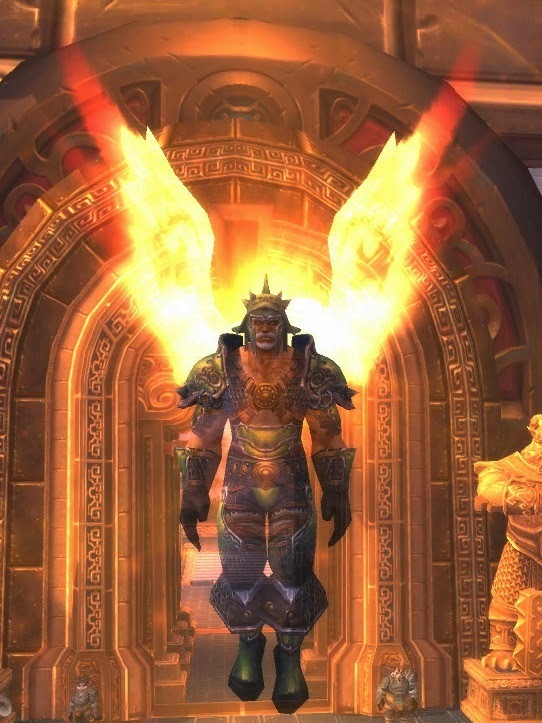 I do like the idea of a long questline for an overpowered piece of gear, but if, in the end, everyone has it..it does not feel legendary, maybe they should just make it another class of gear. 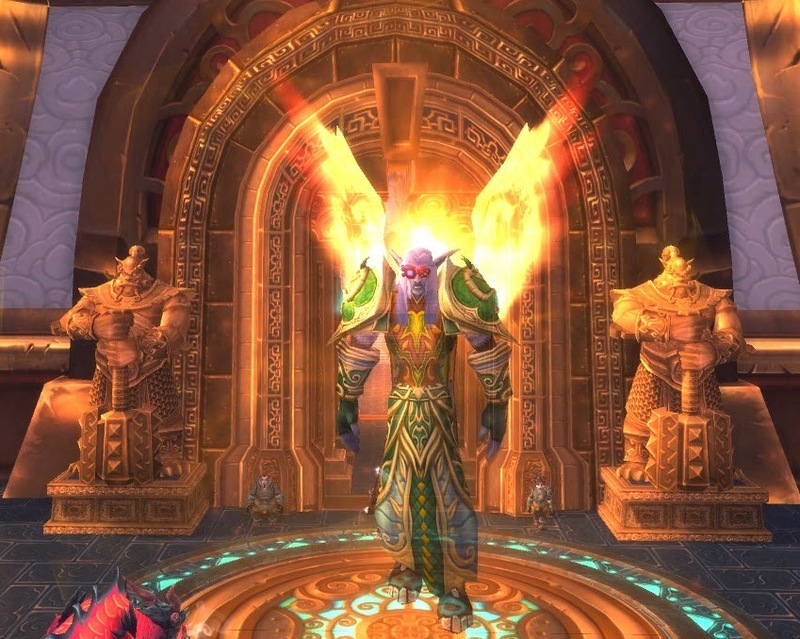 So far, WoW has three different kinds of legendary items. The aforementioned long questline is one. Then we have the static drop, like the warglaives from Illidan. And then we have the gathering-Legendary, where one member of the raid has to gather a lot of stuff, like the staff from cata. Kristenveldt, healing-leader, gets the cloak. For now, I am actually looking forward to replace the cloak. It may be nice and all, but that graphic display of wings.. that is really starting to annoy me, especially when it sometimes conflicts with things on the ground. I am looking at you Malkorok's Bubble-spawn. Now hoping that the ring does not do lensflares.